We all have favourites and when it comes to fertiliser the liquid variety are mine. If the soil is in good heart then simple water is probably as good as anything for disolving nutrients and tranfering them to your plants. However some plants need more help from extra or special fertilisers. 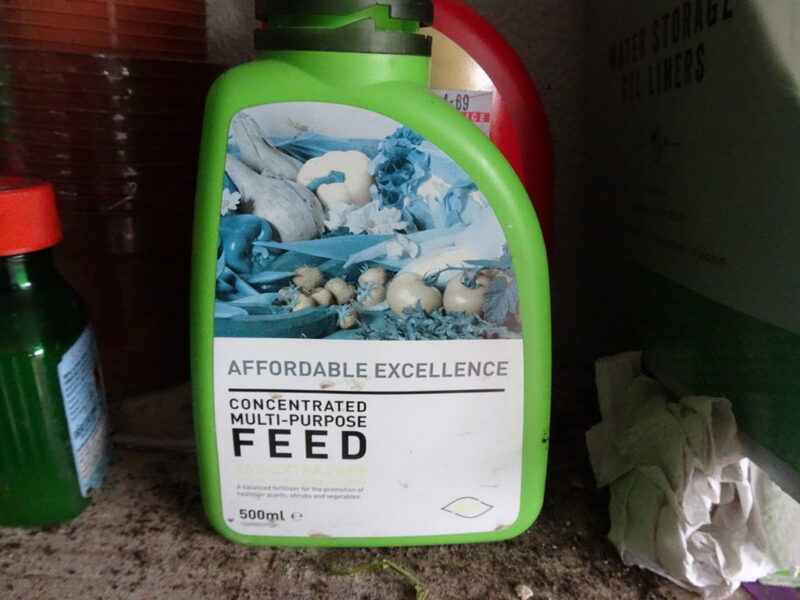 General multi purpose feed 3.5 – 3.5 – 3.5 dilute 20ml in one gallon of water. Straight Nitrogen-only feeds based on ammonia salts are used mainly for lawns and green-leaf crops. Superphosphate fertilizer is water-soluble. A rating system for mixed fertiliser describes the amount of nitrogen, phosphorus, and potassium or NPK as a percentage of nitrogen phosphorus & potassium in the product. eg 12-6-6 will have twice the amount of nitrogen as the other two compounds and favour green plants. 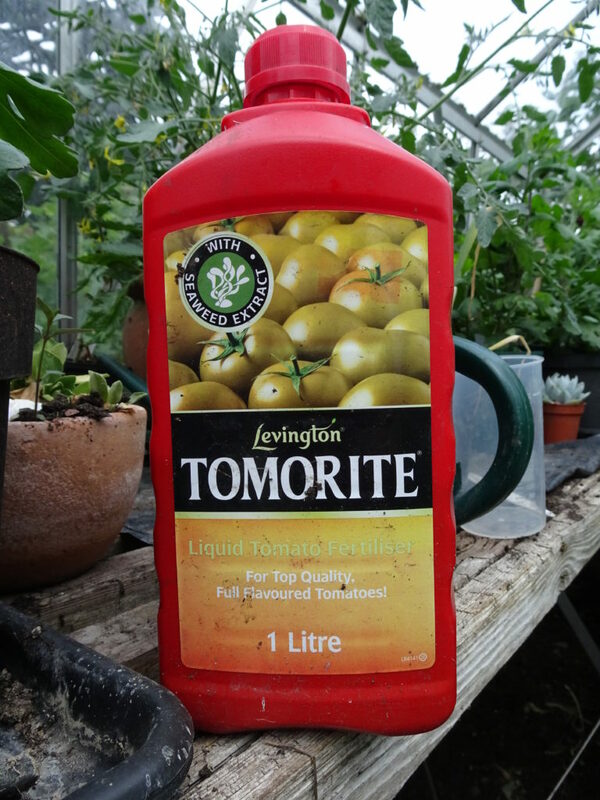 My latest fertiliser formulated for tomatoes is 18-9-37 but more about that later. A good general fertiliser may contain 10-10-10 NPK. Soaking or extracting juice can make a concentrated feed solution. If you have a workery it will collect the brown juice for use as a feed. Comfrey tea is made by steeping green leaves of comfrey plants Once produced, the dark brown liquid should be diluted 15:1 with water before use. Nettle juice, urea or compost heap liquid also make fertiliser juice. The main micronutrients are manganese, zinc, iron and copper plus calcium for tomatoes. These elements are best provided as water-soluble salts rather than granules. Make your own wet mix from two dry A & B compounds each in 2.5 litre cans. Then over the season mix with water diluting to instructions. Mix A is 12% Nitrogen O% phosphor 10% potassium and 17.8% calcium.Mix B is 6-9-25 NPK with chelated micro-nutrients.